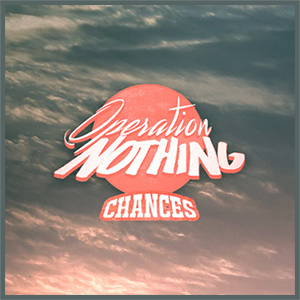 Operation Nothing is one of the first bands that ever started playing Easycore on the Pop Punk scene in Sweden. Being influenced by bands like Four Year Strong, Set Your Goals and New Found Glory. After releasing the single "Let's Start A Fire" in 2011 the band was seen as one of the most promising Pop Punk artists in the country touring with bands like Like Torches and Chemical Vocation until releasing their debut album "The Anagram". In 2011 the band also announced they would call it a day, due to different priorities in the group after touring Europe, working together with guitarist Ricky Bentsen the split-up was real. Although in October 2016 the band officially announced their comeback on their Facebook page and on December 1st the band released their first single in over five years "Chances". The band is now working on their second full length and the band says it will be out sometime during 2017. Stay tuned!